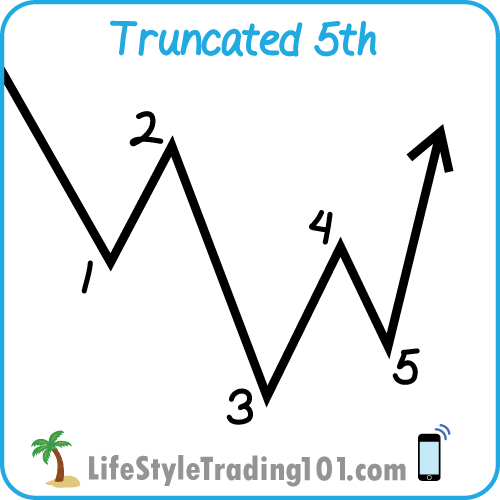 When the market has gone too far too fast, the truncated 5th wave is a way to not go even further but allow the pattern to change direction. 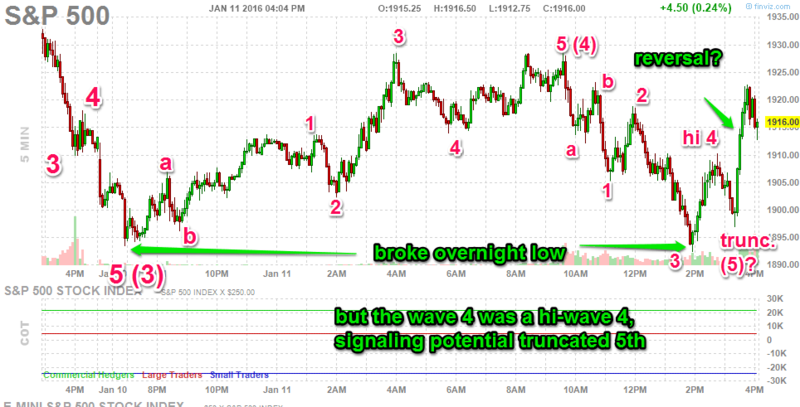 …then, that experienced is likely a truncated 5th wave. 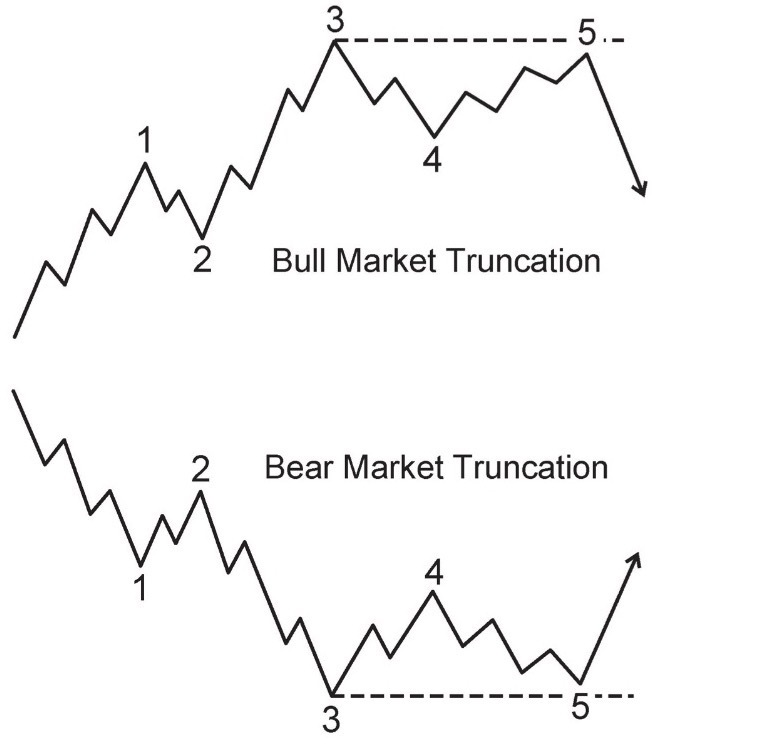 Note: a truncated 5th wave does not necessarily mean that a “bottom is in” — as we broke these lows just two days later on January 15, 2016. 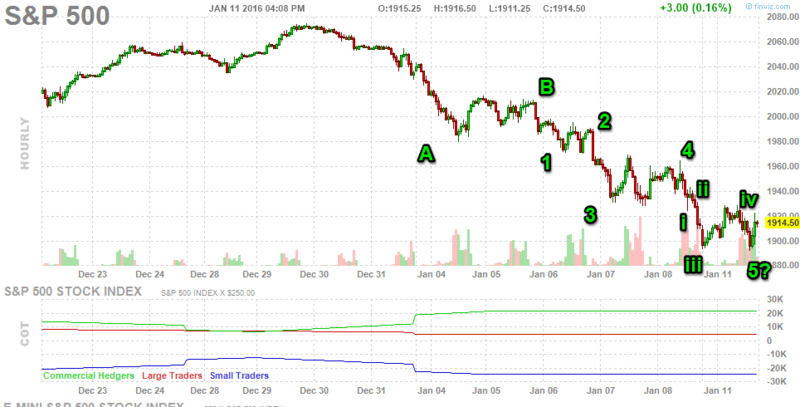 S&P500 Januar 11, 2016 Intraday Chart – 3:15pm rally indicates the truncated 5th wave may have just happened and we should see a reversal continue up.